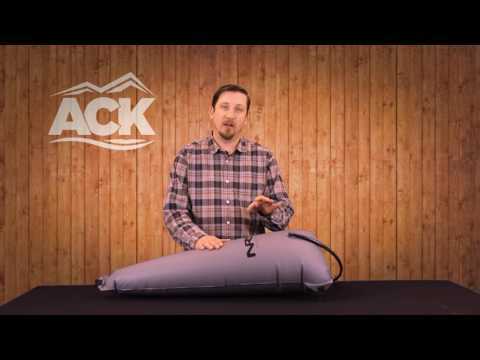 The NRS Split Stern Bag is a long and narrow float bag that fist on either side of a kayak's center support pillar. The stern bag is made with a 10-gauge urethane fabric that won't leak or delaminate. It features a 20" inflation tube and has a D-ring at the top for easy securing. Sold individually. Bought two of these for my Pyranha Karnali and they fit great. Great price, fast shipping, and high quality. Thanks ACK! Great product for a fair price; I have been buying these for all my whitewater boats, they just do the job. The bags fit great, are toughly constructed, and the inflation tube is nicen long. They fit snuggly when inflated and although I havent come out of the boat since installing them, a friend has the same bags and he comes out quite often. He loves them! They probably cut the volume of the boat by almost half. Thats about 250 lbs of H2O you dont have to drag out of the river. I have come to expect quality parts and craftsmanship from NRS products, and I continually order products from them. I put these bags in the stern of my Dagger Zydeco 9.0 rec. boat, and they fit exceptionally well. I have already ordered a pair of the NRS rodeo bags for my whitewater kayak. Q: What air bag or bags do I need for a mamba 8'1"
A: I would recommend one of the Harmony Playboat stern bags. You are going to want to determine what the available cockpit space to fill with a float bag would be. I would measure length and width and look at some of the float bag options and make your decision based on the bag dimensions and inflated dimensions. Keep in mind, you can always under-inflate a bag.